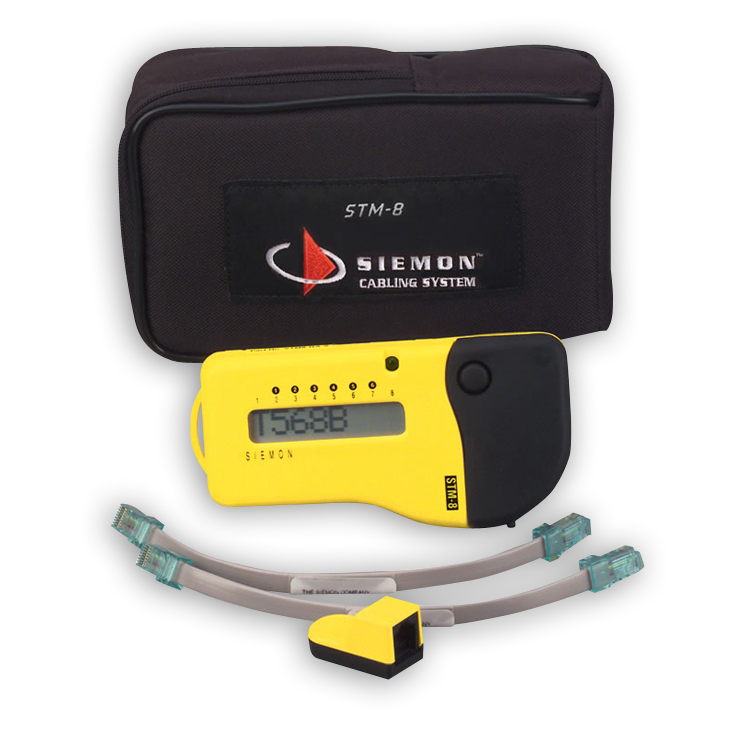 Siemon Test Adapters used to hook up test equipment to trace or tone. "This modular adapter allows in-line testing for any plug/jack combination. It includes two 4-pair jacks plus a 152mm (6 in.) modular cord terminated with our patented 4-pair “universal” plug for accessing any standard 6- or 8-position jack. Individual conductors are broken out by pin number and correspond to eight separate test pads. Test equipment can be securely attached to the test pads using alligator clips. For quick reference in the field, USOC, T568A, and T568B wiring charts are printed right onto the Modapt® body. When used with Siemon’s TESTAR® adapter, S110® test adapter, and S110T disconnect test adapters the Modapt® can be used to test connections on S66M, S110T disconnect blocks, and S110® blocks"
"TAP-50® Adapter - The TAP-50® is designed for accessing all 25-pairs on a 66M block. 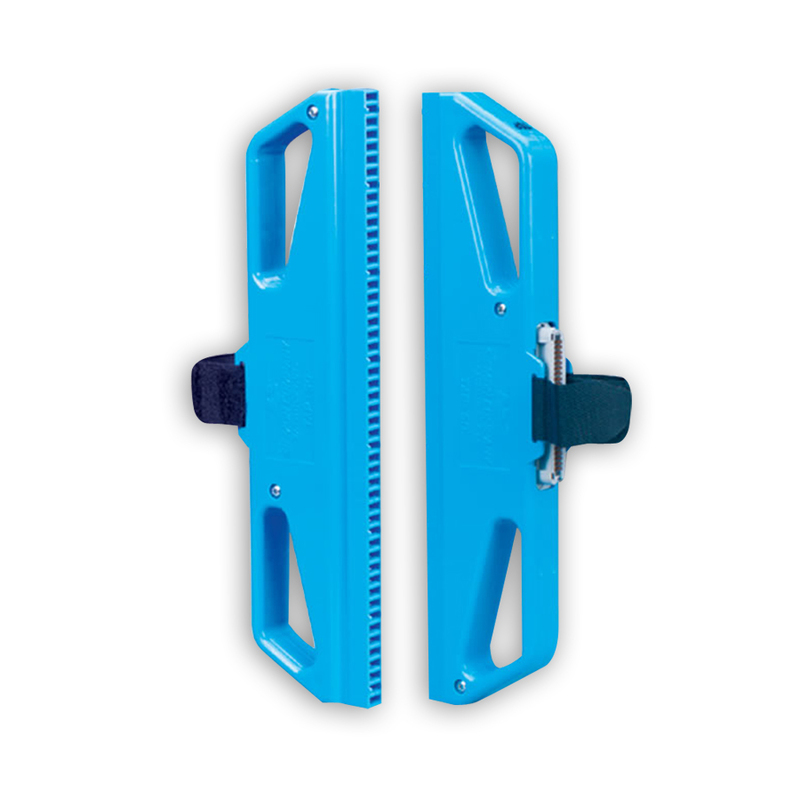 A positive connection with the quick clip ensures accurate testing, and our dual-handled design makes for easy installation and removal. It can also be used to field-connectorize 66M blocks. Available with either male or female 25-pair connectors." Siemon TAP-110-U1 1 pair, S110 test adapter, USOC wiring "
"Siemon 1,2,3 and 4 pair test adapters provide a convenient way to test 110 connecting blocks. The adapters plug into any 110 connecting block and provide a modular jack for connection to test equipment or patch cords. 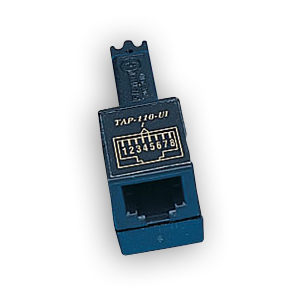 It is the only 110 test adapter that can be attached to both terminated and unterminated 110 connecting blocks without disturbing the terminated conductors. All adapters (except for the on pair version) are Stackable. " Siemon TAP-110-U4 4 Pair S110 test adapter, USOC wiring"
Siemon TAP-110-T4 4 Pair cat 5, S110 Test adapter T568A Wiring"
"Siemon 1,2,3 and 4 pair test adapters provide a convenient way to test 110 connecting blocks. 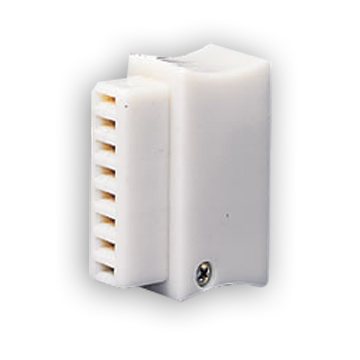 The adapters plug into any 110 connecting block and provide a modular jack for connection to test equipment or patch cords. 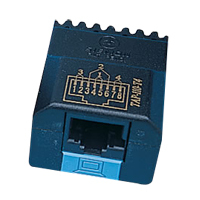 It is the only 110 test adapter that can be attached to both terminated and unterminated 110 connecting blocks without disturbing the terminated conductors. All adapters (except for the on pair version) are Stackable." Siemon TAP-110-A4 4 Pair cat 5, S110 Test adapter T568B Wiring"
"The TESTAR provides easy test access to 66 quick clips. 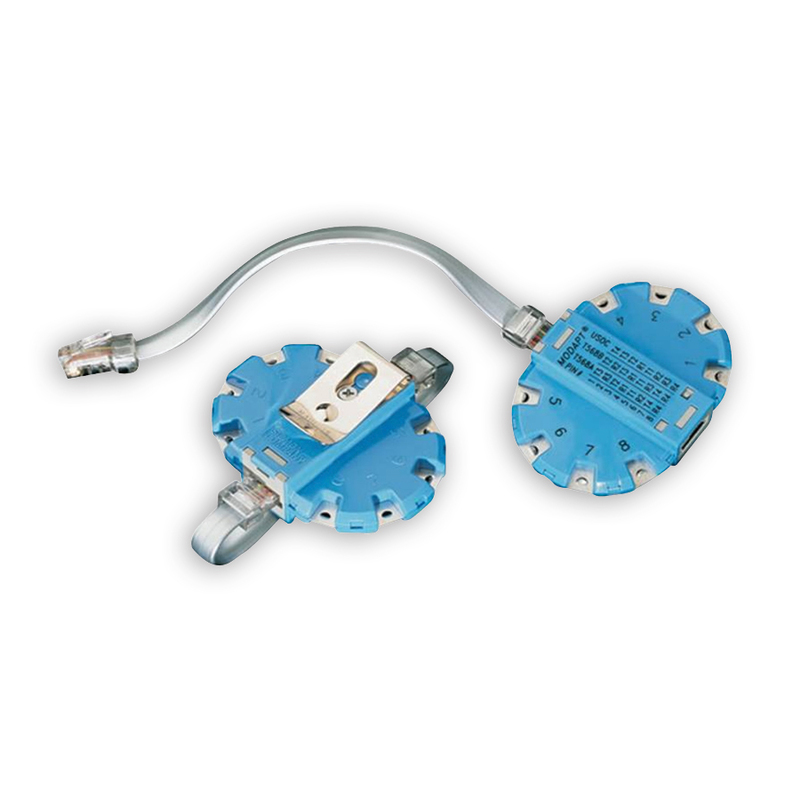 it plugs directly onto a 66M Block, establishing a positive connection and provides modular jack interface for plugging in test equipment. To utilize equipment requiring alligator clips, the MODAPT adapter can be plugged into the TESTAR"
Siemon TESTAR-8T-C5 Category 5, 4 pair TESTAR T568A Wiring"